The great thing about this centerpiece is that it uses a DIY Flower Combo, The Centerpiece with Height Combo Pack, which gives you a variety of filler flowers and greens that make it easy to create beautiful arrangements. This flower pack can be customized by choosing your flower colors, we used pink in this example, but you could also choose purple/lavender or white. This pack can be used alone, or you can add a focal flower like we did, to really make a statement! 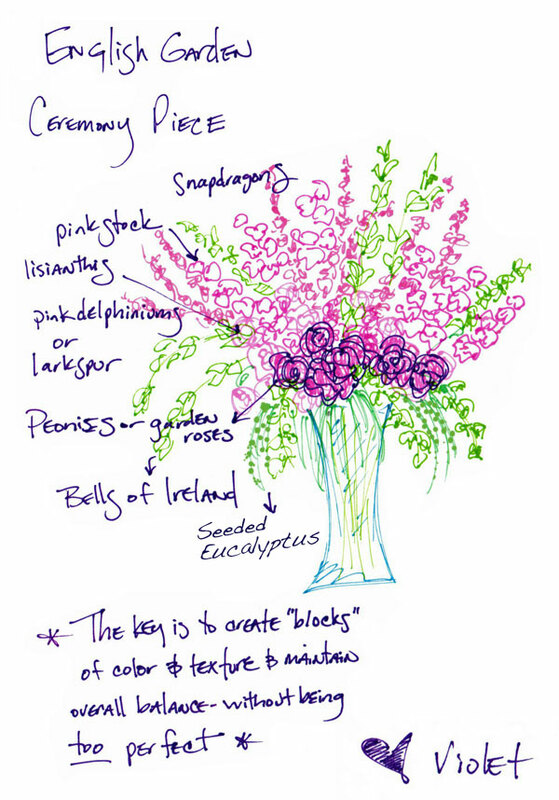 For the focal flower, Violet used Hot Pink Peonies, but if you wanted a more affordable option, you could use Yves Piaget Garden Roses, which are very similar to peonies (most people wont know the difference!). Violet says, “The key is to create ‘blocks’ of color and texture and maintain overall balance without being too perfect!” Have fun with it, and you’ll see how easy it is to create beautiful centerpieces that everyone will admire! To see other Bouquet Inspirations, click here, or head to FiftyFlowers to order your premium, fresh cut, wholesale flowers!